The Soviet invasion of Afghanistan was, among other things, a horrible political miscalculation, lasting nine bloody years and resulting in the death of some one million civilians as well as forcing millions of others to flee the country. 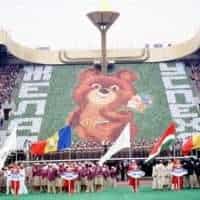 It led to another cold spell in U.S.-Soviet relations as the Carter administration responded by boycotting the USSR’s pride and joy, the 1980 Summer Olympics, and lobbied other countries to do likewise. 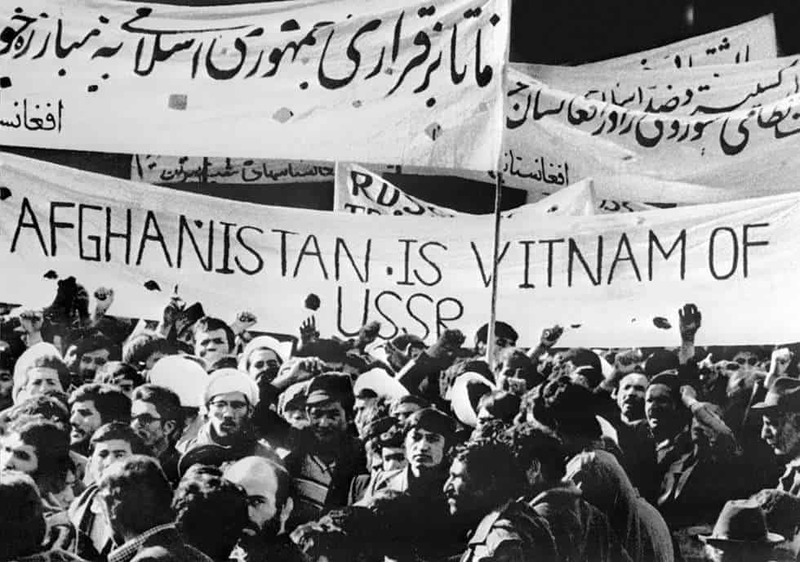 Rudolf Perina discusses U.S.-Soviet relations in the wake of the Soviet invasion of Afghanistan, including the initial reluctance by almost everyone at the embassy to shut down exchange and assistance programs in retaliation. The Soviets surprisingly tried to keep channels open (though the KGB’s behavior was par for the course). He was interviewed by Charles Stuart Kennedy beginning in December 2006. Edward Hurwitz, who was serving at the State Department’s Soviet desk from 1979 to 1982, was interviewed by Kennedy beginning in August 1996. Theodore L. Eliot, Ambassador to Kabul from 1973 to 1978, was interviewed by Robert Martens in April 1992. 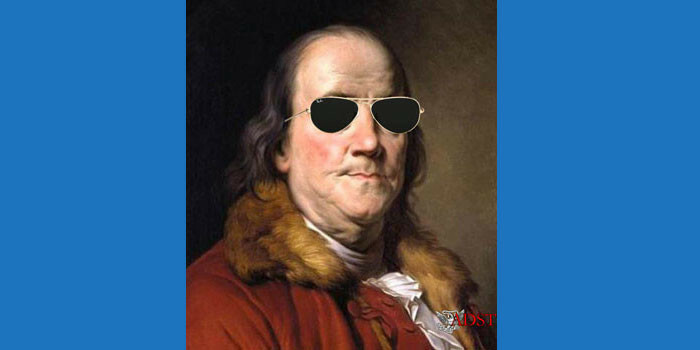 Read about Washington’s perspective on the efforts to lobby for a boycott. I’ll always remember that session. We met with Georgiy Korniyenko, who was First Deputy Foreign Minister. Bob German was a very polite fellow and in a very friendly way he said that we had noticed these apparent military movements on the border, and what is going on? And I remember Korniyenko saying, “There’s absolutely nothing going on, and if there were something going on, it should be no subject of concern to the United States.” In other words, he was saying that if something were happening, it was none of our business. The Soviets felt that Afghanistan was slipping away from them. The invasion was a fundamental miscalculation and not a rational move from any viewpoint. This in part explains why we ourselves were so surprised and caught off guard by it. The best explanation is that the Soviets just totally miscalculated at how difficult it would be to control the country. We couldn’t figure it out even with the reputation that by then the Soviets had. They were willing to go into Hungary, they were willing to go into Czechoslovakia but nobody anticipated that they would really go into Afghanistan. And I think that really doubled the shock and then the desire to retaliate against them. And he went predictably from counselor to counselor and almost everyone told him things that could be done but recommended against doing them. But of course, ultimately, we ended up doing almost all of those things. However, nobody even at that staff meeting suggested boycotting the Moscow Olympics. Nobody thought it would go that far. I will always remember that staff meeting because it was so predictable how everyone tried to protect his or her bureaucratic turf.…When it became clear that this was inevitable then of course certain people in the embassy became tougher than ever on the Soviets. I remember at a later staff meeting, after the decision had been made to boycott the Olympics, one person even suggested that the Embassy staff be instructed not to watch the games on TV. This of course was rejected by Watson as unenforceable and privately ridiculed throughout the Embassy. But it illustrated the mood that developed. They were a huge event for the Soviets. They had rebuilt the airport and tried to refurbish the whole city. There were even rumors circulating in Moscow that the Soviets were planning to seed rain clouds approaching the city so there would be no rain in that 10-day period. I think this was an urban legend but I would not put it past the Soviets to try. They really wanted the games to be a showcase, and we spoiled the whole thing for them. The games will always be remembered as the Olympics that the U.S. boycotted. It wasn’t then just the U.S.; it was a fairly large number of countries but we were the organizers. We tried to create an alternate Olympics because our athletes were so unhappy that they couldn’t compete. We created the Liberty Bell Classic in Philadelphia. A friend of mine, Nelson Ledsky, was in charge of organizing that. It was not much of a hit either, however. Carter’s decision was much debated but I concluded in later years that it had been the right thing to do. It got to the Soviets in a way they could not hide from their people, and it put the Afghanistan invasion into a chapter of the history book where the Soviets did not want it to be. Of course, it was unfortunate for the athletes. And then, of course, the Soviets had to retaliate so they didn’t go to Los Angeles which was the next Olympics four years later, even though by then our relationship was much improved. So you had two Olympic games in a row that were damaged but I think it sent the message to the Kremlin that international anger was genuine and deep, and it did so in a way they could not hide from their own public. On the official level I never had problems with access to people in the Foreign Ministry and elsewhere. Of course, these were generally junior people like myself but even on senior levels, I did not detect a problem of access. What never or very rarely worked was to have them over for dinner or other social events in our homes. Only a limited number of individuals on the Soviet side were authorized to have social contact with Westerners. Most of the people at my level were on a very short leash in interacting with foreigners. Even at higher levels, Soviet officials sometimes accepted but then did not show up for events. After Afghanistan, the Embassy set limits and restrictions on entertaining Soviet officials as part of our own refusal to have business as usual. Basically, no purely social events were allowed. Only “working” lunches and dinners could be held and had to be justified. So there was very little social interaction, and it was limited to chatting with Soviet officials at third country receptions and so on. One interesting thing at the time was the on-going Sino-Soviet split. The Chinese had an Embassy that was reputed to have the best food in Moscow for receptions and so on. Everybody in the U.S. Embassy wanted to go for the great food. The Chinese knew this and whenever they had an event they would invite virtually the entire U.S. Embassy. 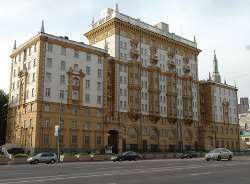 This was just to irritate the Soviets because they monitored this and they would see the entire U.S. Embassy going over to the Chinese Embassy. It actually got so bad and provocative that Ambassador [Malcolm] Toon issued a directive that for any Chinese events he personally had to approve who would attend so that there would not be too large a crowd of Americans. The Chinese were very clever in things like this. Otherwise, I did do some travel in the Soviet Union but never found myself harassed in any serious way, although it was during trips outside of Moscow that I first detected surveillance. I am sure it happened in Moscow as well but I was just not aware of it. In the provinces the KGB was not as sophisticated, and the surveillance was really obvious and sometimes intense, particularly in the Muslim regions of the Soviet Union. Once on a trip with Steve Coffey, who was also in the Political Section, we went to Baku in the Azerbaijan Soviet Republic and detected probably about a dozen people taking turns following us, especially when we went to visit a mosque. The Soviets were very worried about their Muslim population and our interest in it. There were, of course, certain people in the Embassy who did get a lot of harassment from the Soviets. I was never among them. It was primarily the people who dealt with human rights, who met with the refuseniks [Soviet Jews refused exit visas to leave the USSR], dissidents, human rights activists and so on. They were often harassed seriously. People at our consulate in Leningrad had a particularly difficult time because the city had a very hard-line mayor named Romanov at the time. Several of our officers there who dealt with dissidents were beaten up by KGB thugs. The people in our Embassy who dealt with dissidents were also harassed, though for the most part not violently. Things could happen to their property, apartments and so on. In one instance, the freezer of an officer who dealt with human rights issues was unplugged while the family was away on vacation. This was actually quite serious because most of our food was still imported from Helsinki, and a family could incur hundreds of dollars of damage when something like that happened. But what I found most interesting, from a psychological viewpoint, were the things the Soviets did just to remind Embassy officers of their vulnerability. This would often consist of totally innocuous things happening in one’s apartment like, for example, something that was always on one side of the room suddenly appearing on the other side. Things would be moved or changed in such a way as to leave no doubt that someone had been in the apartment, but no damage was done. This was very clever on the part of the KGB because they knew that people would not lodge official complaints or protests about such things. 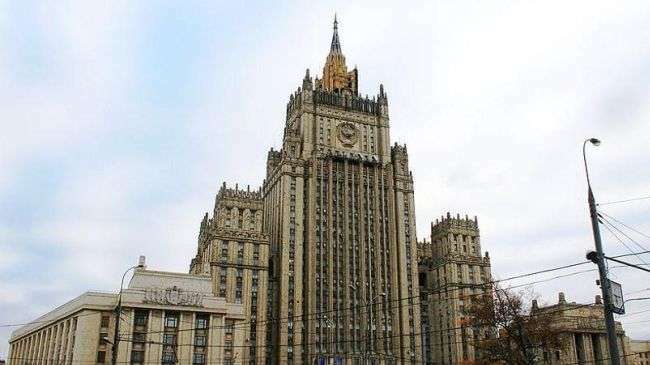 The Embassy would not protest to the Foreign Ministry that somebody had moved a lamp from one table to another or eaten something and left a dirty plate on the kitchen counter. Half the time people didn’t even go to the RSO [Regional Security Officer] because it seemed so petty. Or sometimes you actually weren’t even sure if maybe, in fact, you had put the thing on that table rather than on another. But the bottom line was that a person was made to feel very insecure and vulnerable because it was fairly obvious that someone had been in the apartment. The implied message was: be careful, your behavior is being watched, and next time something far more serious can happen. I found this a very interesting form of psychological harassment, and, while it never bothered me or my family particularly, it did lead to paranoia among some people. In some cases, I think, it led to people accusing the Soviets of doing things whenever anything went wrong, even if perhaps the Soviets were not actually at fault. You know, if the coffeemaker broke down people would assume, “Well, the KGB did this.” Sometimes the Soviets may have done it but at times they didn’t and people just blamed them. But in a sense that also served the KGB purpose because it underlined the insecurity and vulnerability, which is what the KGB wanted. 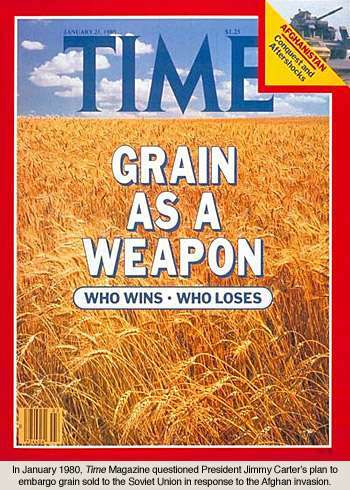 So people’s paranoia would start working to the benefit of the KGB. We did experience such harassment a number of times—once when one of my wife’s coats disappeared for several months and then suddenly reappeared hanging in the closet. But how can someone protest that to the Foreign Ministry? That was the beauty of the KGB scheme. HURWITZ: We always thought [the invasion of Afghanistan] was a stupid move on their part and indeed it was something that hastened the demise of the Soviet Union. It was something that was totally unnecessary. That is another thing. We always regarded Afghanistan, if not completely neutral as slightly tilting towards the Soviet Union. I went back, in fact, and looked at FBIS [Foreign Broadcast Information Service, which translates foreign media into English] and you can see speech after speech that [Afghan President] Daoud, who was overthrown by Taraki, made tilting towards the Soviet Union. 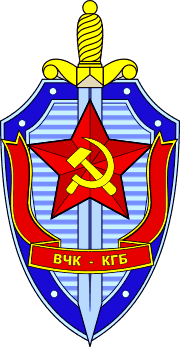 The Soviets supplied all their military. The Soviets were in bed with their military. So, I don’t know what got into Brezhnev’s mind. The way they handled it too was a disaster. In retrospect, clearly the Russians, the Soviets, Brezhnev and company, and Andropov, and the others involved in this decision, made a terrible mistake. And I must say, I would have told them so had they asked my advice. They had everything they wanted in Afghanistan. They had a friendly government. There was no threat from Afghanistan – I’m talking about Daoud. They were able to milk Afghanistan’s economic resources – natural gas and some minerals, without interference from anybody else. It all reminded me of Mark Twain’s saying, “overreachin’ don’t pay”.…There’s absolutely no question but that it had a major effect on subsequent domestic political events in the Soviet Union.